Front-end damage; it’s a phrase none of us ever want to hear after a car accident. But what does “front end damage” even really mean? How far back does the damage go? How many parts and pieces actually have to be replaced? 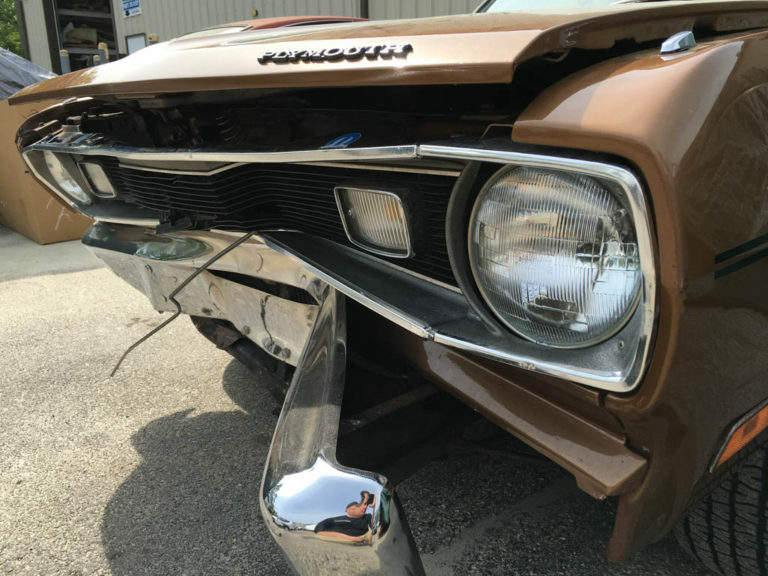 Whether you drive a brand new car or a classic cruiser, front-end damage can happen. 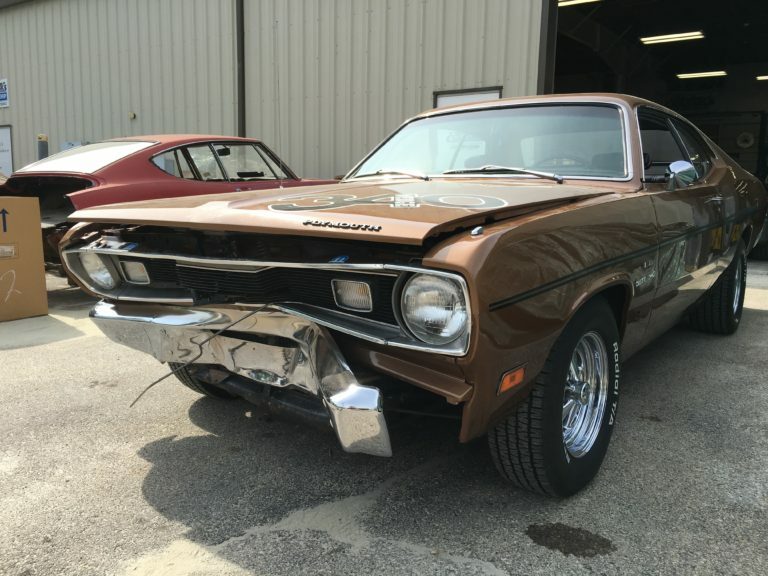 One of our trained technicians, Tim, is currently working on mending a 1970 Plymouth Duster. “So this right here is a classic front end collision repair job. The car was hit by another head on,” explains Tim. 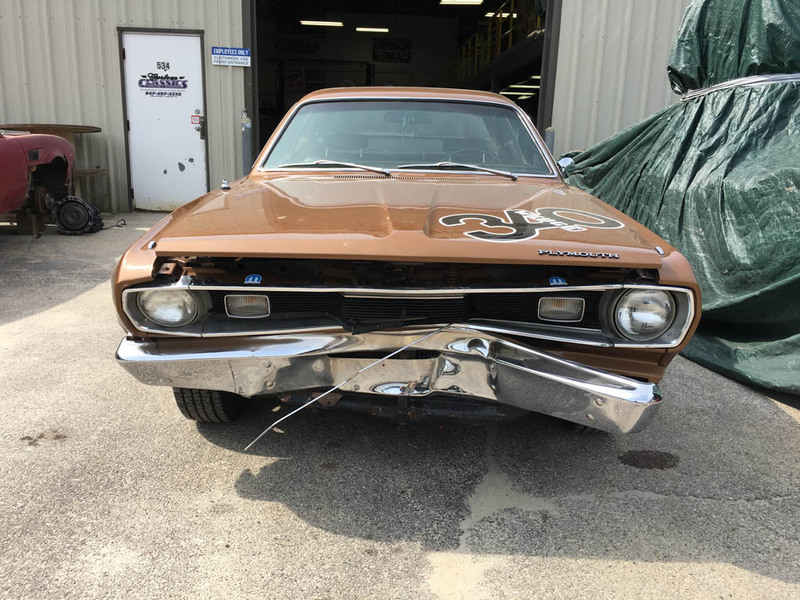 Like many of the cars that come into the shop, the front-end damage on this specific car included a trashed radiator, bumper, grill, headlights, and some structural damage. 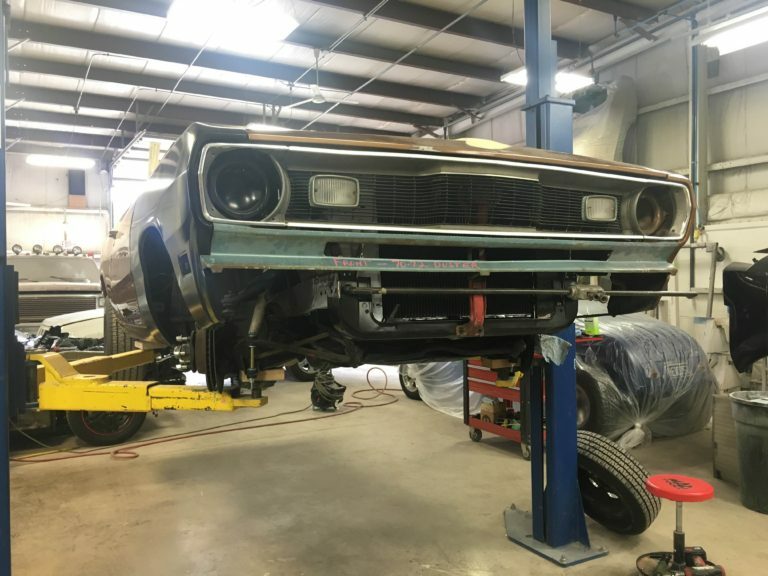 At Custom Classics we have trained professionals who have seen this type of stuff time and time again and are very comfortable repairing the vehicle back to its pre-existing condition. Here’s a quick step by step of what happens when a car comes into the shop in this condition; It’s beneficial to know the process, so we can understand just how each step affects the next. We start by creating a thorough repair plan (estimate) by assessing the damage and direction of the damage. This is important so you can reverse the damage during repairs. 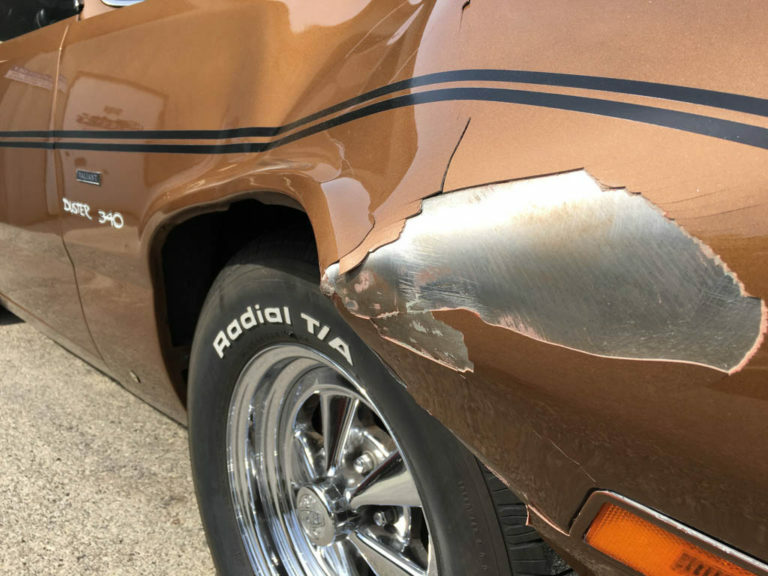 In collision repair we have a general rule “the first in last out rule.” This means that the area first hit in an accident makes it the first in. Therefore, this should be that last area to repair. Direct damage is the most obvious damage as it is easy to visually see, such as in this head-on collision. After figuring out our repair plan and which methods we’ll use, we’ll begin disassembling the vehicle and take off and inspect any damaged or potentially damaged pieces. Then after that, we’ll take measurements of the damage to the frame with our laser frame repair machine. 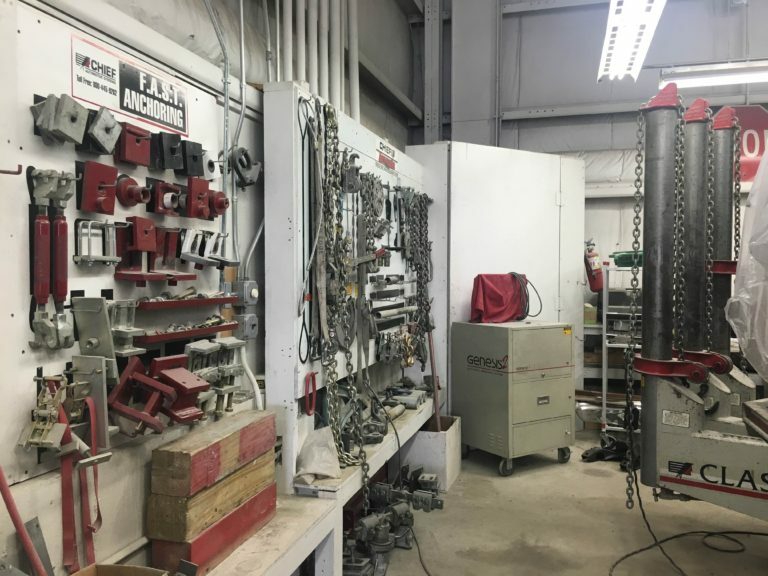 Once we have measurements, we’ll carefully make pulls to the affected areas and repair any of the damage to the frame’s structure while continually cross checking our repairs with the laser measurement system to ensure repairs are completed within original manufacturers specifications. 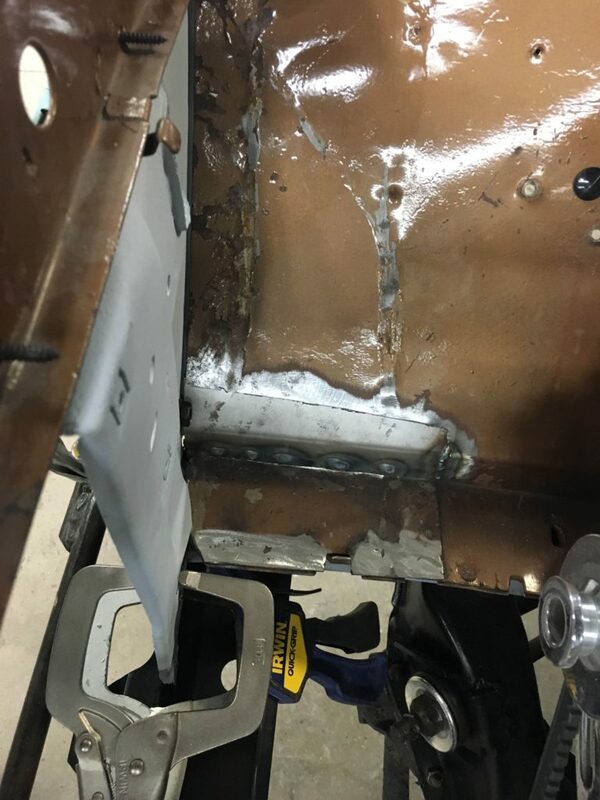 After the car is off the frame machine, the car will move onto the rest of the repair process of replacing and repairing all the damaged parts, heading to our paint area if needed, then sanded and buffed and fully detailed. 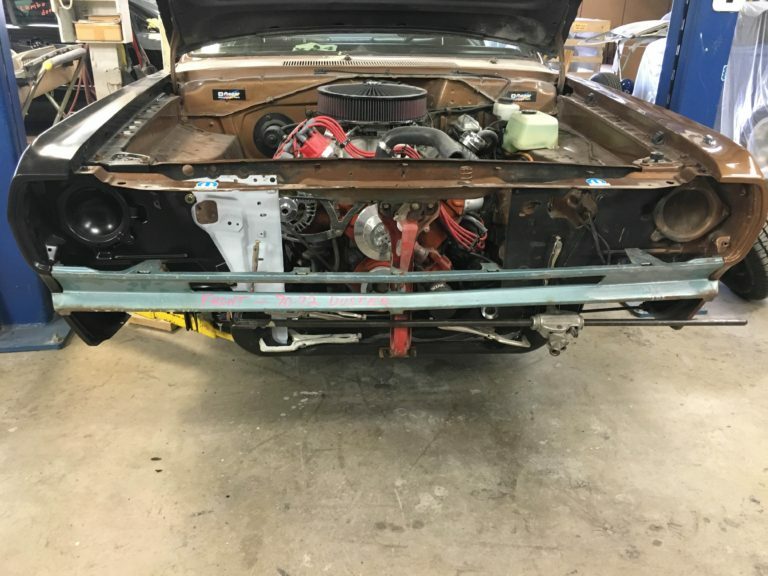 Custom Classics not only is well known for full classic car restorations but also specializes in collision repair for classic cars and exotic cars. No matter the damage we will take the time to fully repair your vehicle back to its pre-existing condition and have it looking good as new! So come in today, and let us help you with all your classic and exotic car’s repairs and upgrades.